When November comes, Starbucks aficionados like me look forward to having more than their share of coffee to get the store's organizer. 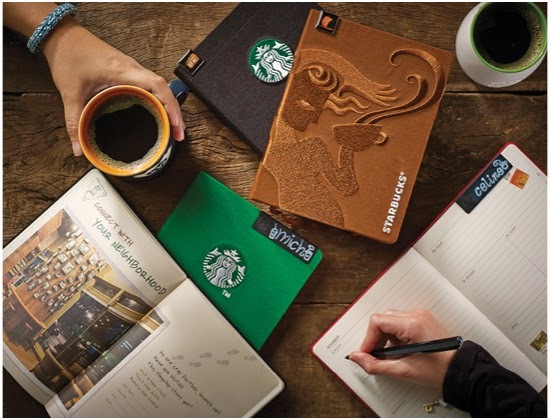 It seems that this year, Starbucks made it easier for us to get their planner: you only need to drink 9 Christmas themed beverages and another 9 regular hand crafted drinks, or a total of 18 drinks. I remember when we used to need 23 drinks to grab just one planner. Ever the eager beaver, I went to my favorite store yesterday and got my first sticker. I hope I can get more than one of the four designs this year. By the way, the 2015 Planners have very simple designs. They come in green, black, red and brown with drawings. So what are this year's Christmas themed beverages. Aside from the usual toffee nut and peppermint mocha, Starbucks offers the Christmas Cookie Latte this year. I think this is the most popular variant this year because when I was in the store yesterday, 4 out of the 5 persons before me ordered this item. So I jumped on the bandwagon and asked for the same beverage but I preferred it cold/over ice. My first impression was it's a very sweet beverage. There were cookie bits and shortbread sauce in the mix. I think it will be best to drink it when you're feeling down since all that sweetness (read: sugar) will give you a boost. In fact, I was in a bad mood yesterday because I specifically asked not to put cream on my latte. The barista, maybe she wast tired after making all those Christmas Cookie lattes, automatically put the cream. When she realized her mistake, she scooped it out and drizzled my drink with more shortbread sauce to cover any trace of the cream. All my sense of reason flew out of the window and I told her I saw what she just did so she offered to make me a new drink. This also explains why I wasn't able to take a photo of my drink. Anyway, I think I will order 8 more of this beverage to fill my card with stickers. I will try the same drink hot next time. 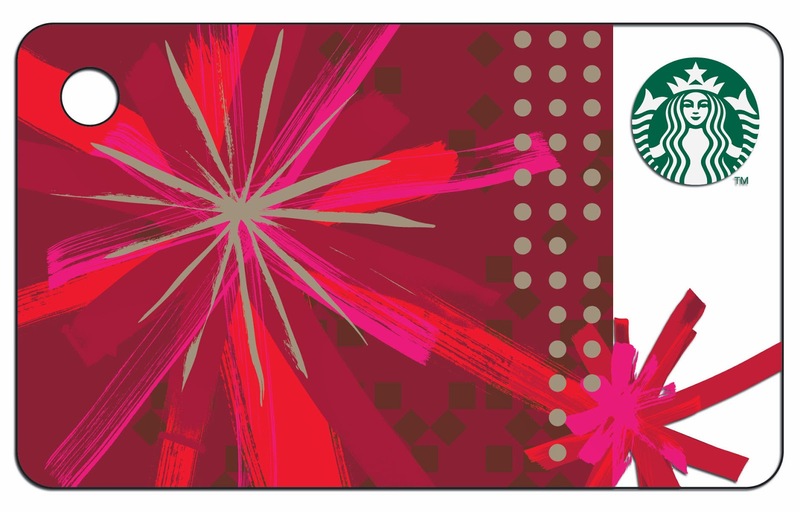 The other new thing with Starbucks is the Starbucks Holiday Mini Card. It's so small, about half the size of the regular card, and can be used as a dongle or key holder. It is also eligible for the promo where you load it with PhP1,500 and you get PhP300 extra load. However, the cashier told me that the promo is only up to Wednesday, November 5. If you don't want to spend PhP1,500, you may still get it at PhP500. The other two designs looked they came from the designers of Hallmark Cards.